Those who named Volcano opted for simplicity in choosing a title, taking the nearby fire-spewing Kilauea as a source of inspiration. 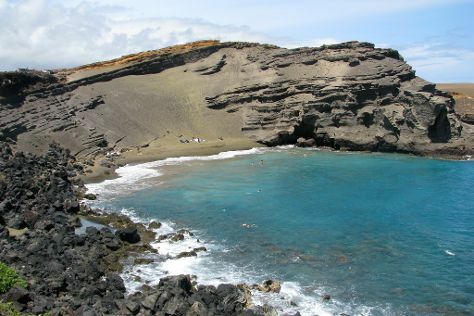 Your itinerary includes some good beach time at Papakōlea Green Sand Beach and Laupahoehoe Beach Park. Escape the urban bustle at Kilauea Iki Trailhead and Kulanaokuaiki Campground. Step out of Volcano with an excursion to Akaka Falls State Park in Hilo--about 1h 10 min away. There's still lots to do: stroll through Kipuka Puaulu (Bird Park) Trail, view the masterpieces at Volcano Art Center, and identify plant and animal life at Devastation Trail. To find photos, other places to visit, traveler tips, and tourist information, use the Volcano day trip planning tool . Manchester, UK to Volcano is an approximately 22-hour flight. The time zone difference moving from Greenwich Mean Time to Hawaii Standard Time is minus 10 hours. Traveling from Manchester in April, expect Volcano to be much warmer, temps between 32°C and 22°C. Finish your sightseeing early on the 17th (Wed) to allow enough time to drive to Kailua-Kona. Thanks to its favorable location near a mountain range blocking the northeasterly trade winds, Kailua-Kona gets little rainfall, allowing adventure seekers and nature lovers a chance to enjoy over 300 days of sunshine each year. Pu'uhonua O Honaunau National Historical Park and Mokuaikaua Church are good opportunities to explore the local culture. Get in touch with nature at Swim with Dolphins and Puukohola National Historic Park. Explore the numerous day-trip ideas around Kailua-Kona: Hapuna Beach State Recreation Area (in Puako) and Anaehoomalu (in Waikoloa). There's still lots to do: kick back and relax at Kahaluu Beach and play a few rounds at Mauna Lani Resort . To see other places to visit, more things to do, where to stay, and tourist information, use the Kailua-Kona trip planner . Traveling by car from Volcano to Kailua-Kona takes 2.5 hours. Alternatively, you can take a bus. In April, daily temperatures in Kailua-Kona can reach 33°C, while at night they dip to 26°C. Wrap up your sightseeing on the 20th (Sat) early enough to travel to Lahaina. Once the booming capital of the Hawaiian Kingdom, the tropical paradise of Lahaina still remains one of Maui's top vacation attractions, providing both culture and recreation. Start off your visit on the 21st (Sun): tour the pleasant surroundings at Napili Beach and then stroll through Ka'anapali Beach. 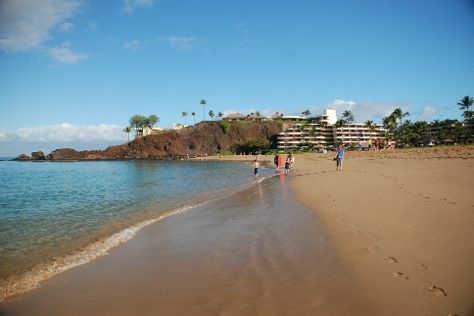 Get ready for a full day of sightseeing on the next day: tour the pleasant surroundings at Kapalua Beach and then kick back and relax at Wailea Beach. For traveler tips, reviews, more things to do, and tourist information, read Lahaina trip builder site . You can do a combination of flight and bus from Kailua-Kona to Lahaina in 3.5 hours. Alternatively, you can do a combination of bus, taxi, and flight. Expect a daytime high around 31°C in April, and nighttime lows around 24°C. Finish your sightseeing early on the 22nd (Mon) to allow enough time to travel to Honolulu. In many ways much more Asian than American, Honolulu is Hawaii's largest city and its center of government, transportation, commerce, and tourism. Visiting Waikiki Beach and Diamond Head State Monument will get you outdoors. Relax by the water at Kailua Beach Park and Kapiolani Regional Park. 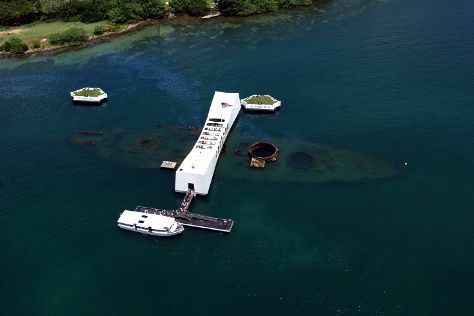 There's lots more to do: explore the different monuments and memorials at USS Arizona Memorial, examine the collection at USS Bowfin Submarine Museum & Park, and look for all kinds of wild species at Hanauma Bay Nature Preserve. To see more things to do, photos, where to stay, and other tourist information, read our Honolulu online trip itinerary maker . You can do a combination of bus and flight from Lahaina to Honolulu in 3 hours. Alternatively, you can do a combination of ferry, taxi, and flight. April in Honolulu sees daily highs of 33°C and lows of 25°C at night. Cap off your sightseeing on the 25th (Thu) early enough to travel to Las Vegas. Kick off your visit on the 26th (Fri): examine the collection at The Mob Museum, then shop like a local with The Strip, and then ponder the design of Bellagio Fountains. 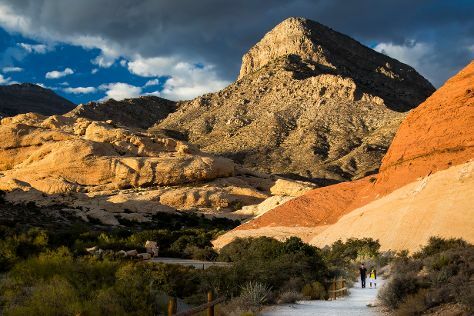 On the 27th (Sat), you'll have a packed day of sightseeing: push the limits with an extreme tour and then explore the stunning scenery at Red Rock Canyon National Conservation Area. To see where to stay, traveler tips, other places to visit, and other tourist information, you can read our Las Vegas trip maker . Fly from Honolulu to Las Vegas in 9 hours. The time zone difference when traveling from Honolulu to Las Vegas is 2 hours. Traveling from Honolulu in April, Las Vegas is a bit cooler at night with lows of 16°C. Cap off your sightseeing on the 27th (Sat) early enough to travel back home.